We have worked tirelessly to integrate texting, talking, and vaping into one spectacular, innovative technology. The applications are limitless. We feel that Jupiter will change the world as we know it. 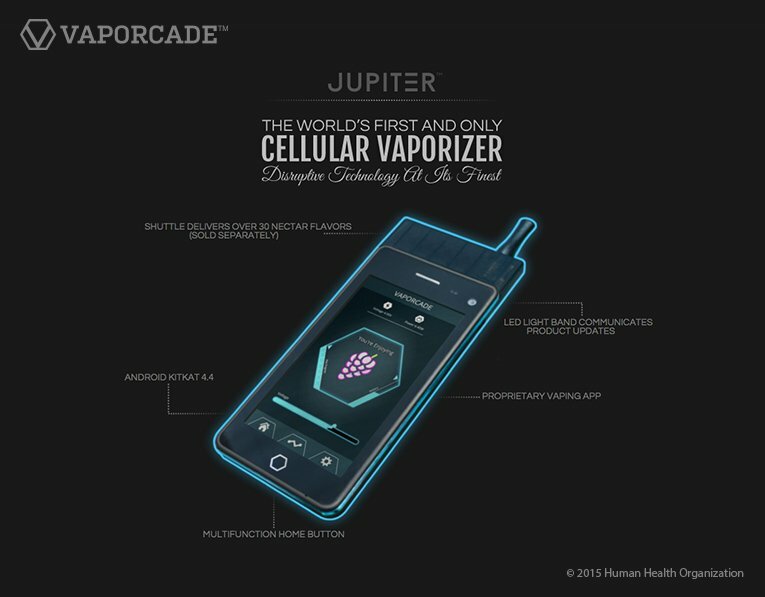 You will soon vape your fluids, medicines, or nutraceuticals through Jupiter. Very strange product & company. steve.c, DogMan and sams like this. sams and Dhufish like this. I'm not a belieber it would work too! Last edited by sams; 08-11-15 at 09:22 AM. ^^^^^ the only thing wrong there is the "Almost"
pffft ! the Jupiter is the old model. Wait till early next year when the "Uranus" is released. No need to tell you which end the vaper is gonna come out of !!!! Nicaholic, mpc3k and ashryn like this.